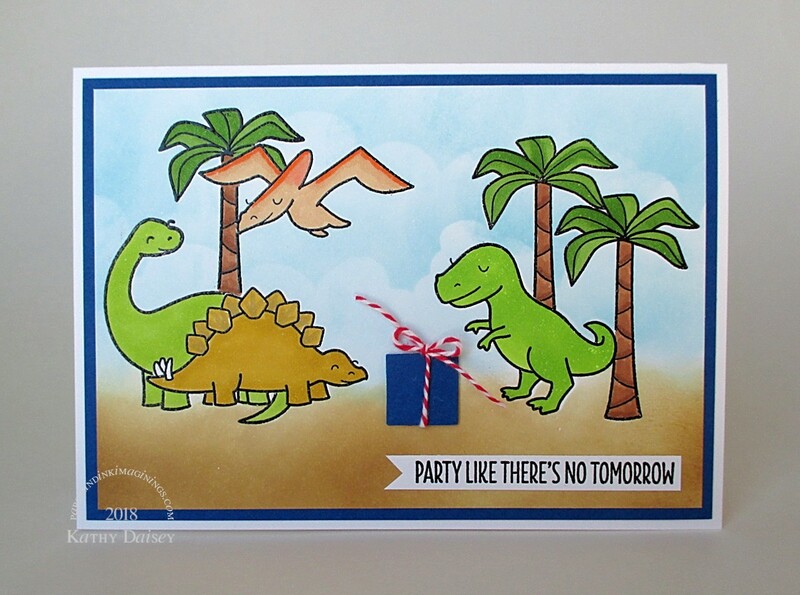 Created for Offspring1’s recent birthday. Supplies: Stamps – My Favorite Things, paper – Gmund Royal, Neenah Classic Crest Solar White, inks – Copics E23, E53, E57, R02, Y26, Y28, YG03, YG17, YG23, YR68, Tim Holtz/Ranger Distress Inks Antique Linen, Tumbled Glass, Vintage Photo, VersaMark Onyx Black, stencil – Inky Antics, square punch – EK Success, embossing powder – Ranger clear, twine – MarkerPOP. Categories: birthday, card | Tags: card, Copics, EK Success, Gmund, Inky Antics, MarkerPOP, My Favorite Things, Neenah, Ranger, Tim Holtz, Tsukineko, VersaFine | Permalink. This one is for my personal use. I was going for “sophisticated” – hoping I achieved that! Supplies: Stamps – Papertrey Ink, Stampin’ Up!, paper – Neenah Classic Crest Solar White, Ranger Distress Watercolor, Stardream Metallics Gold, ink – VersaFine Vintage Sepia, die – Lawn Fawn, jewels – EK Success Swarovski Elements (I don’t remember the color name (brownish!) & I can’t find the outer packaging! ), embossing powders – Ranger Liquid Platinum, Stampendous Gold Detail, organdy ribbon – Offray. 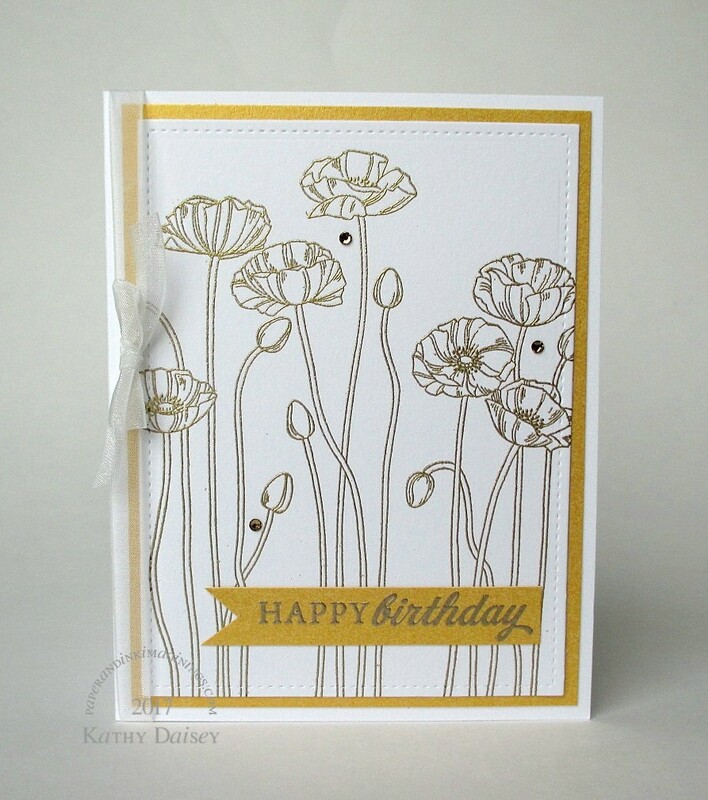 Categories: birthday, card | Tags: card, EK Success, Lawn Fawn, Neenah, Offray, Papertrey Ink, Ranger, Stampendous, Stampin' Up!, Stardream, Tsukineko, VersaFine | Permalink. Supplies: Stamp – Simon Say Stamp, paper – Neenah Classic Crest Solar White, Stampin’ Up! Lovely Lilac (retired), Night of Navy, inks – Tim Holtz/Ranger Distress Inks Chipped Sapphire, Tumbled Glass, Wilted Violet, VersaFine Onyx Black, die – My Favorite Things, stencil – Heidi Swapp, flower punch – Fiskars, pearl jewel – EK Success Swarovski Elements, embossing powder – Filigree Fine Art Powder clear. 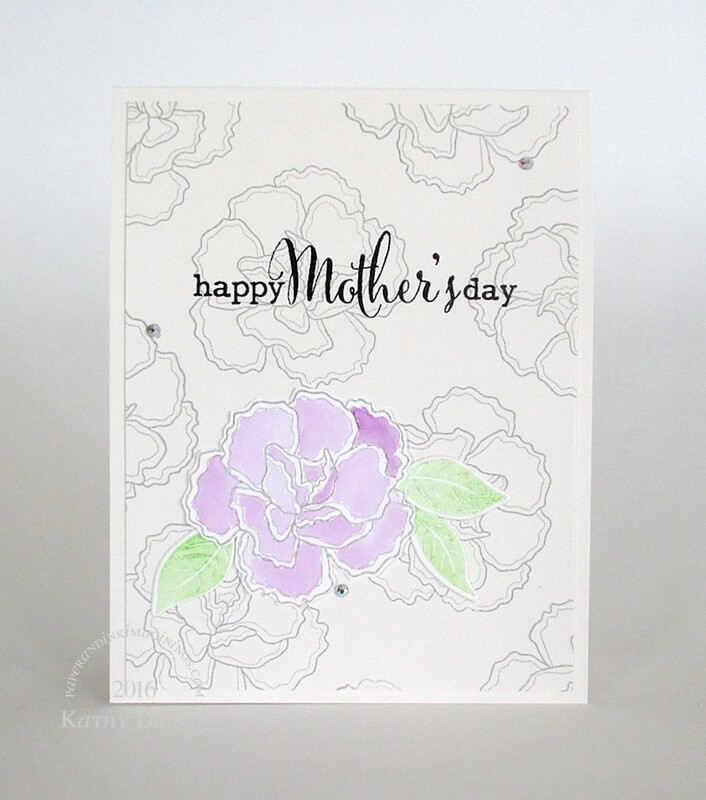 Categories: card, encouragement | Tags: card, EK Success, Heidi Swapp, My Favorite Things, Neenah, Ranger, Simon Says Stamp, Stampin' Up!, Tim Holtz, Tsukineko, VersaFine | Permalink. 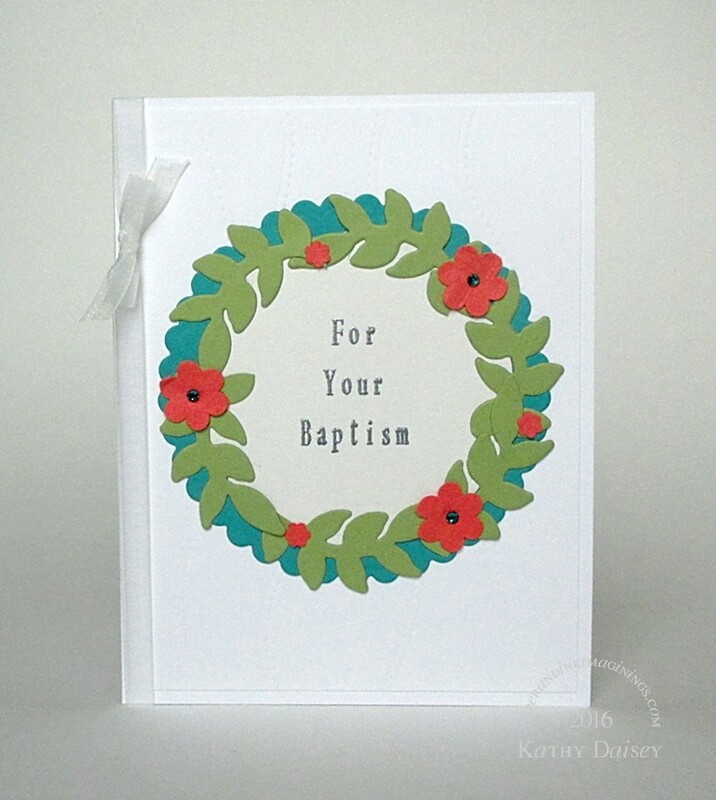 One of my friends became a grandmother recently, and she requested a card for her granddaughter’s baptism. The parameters were non-religious, lean towards nature, nursery colors of coral and teal. Supplies: Stamps – JustRite, paper – Neenah Classic Crest Solar White, Stampin’ Up! Bermuda Bay, Calypso Coral, Pear Pizzazz, Shimmery White, ink – VersaFine Onyx Black, dies – Hero Arts (foliage), Lawn Fawn (stitched hillsides), Spellbinders (circles), flower punches – Fiskars, jewels – EK Success Swarovski Elements, embossing powder – Ranger Silver Pearl, organdy ribbon – Offray. Categories: baby, card | Tags: card, EK Success, Hero Arts, JustRite, Lawn Fawn, Neenah, Offray, Ranger, Spellbinders, Stampin' Up!, Tsukineko, VersaFine | Permalink. 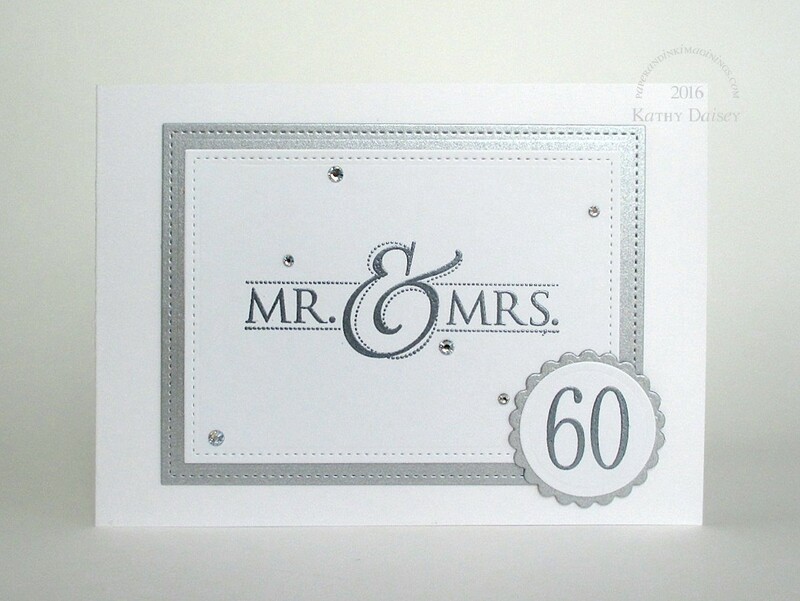 My parents celebrate their 60th wedding anniversary this week! This is an A6 card, with the fold on the left – I pieced together the two sides under a decorative die cut edge that sits on the back of the card. Supplies: Stamps – JustRite, Stampin’ Up!, paper – Neenah Classic Crest Solar White, Stardream Silver, ink – VersaFine Onyx Black, dies – Lawn Fawn (stitched rectangles), Spellbinders (circles), jewels – EK Success Swarovski Elements, embossing powder – Ranger Silver Pearl. Categories: anniversary, card | Tags: card, EK Success, JustRite, Lawn Fawn, Neenah, Ranger, Spellbinders, Stampin' Up!, Stardream, Tsukineko, VersaFine | Permalink.